The task section allows you to customize your application by identifying the most repetitive tasks in your business, while taking into account classic non-production periods (paid holiday, comp days, sick days). As a default, PLANILOG offers 15 different types of tasks. Each of these tasks is represented by a dedicated color and icon. You may change the description of each task by clicking on the “Edit Task” button. You can also then adjust the default color for each task. 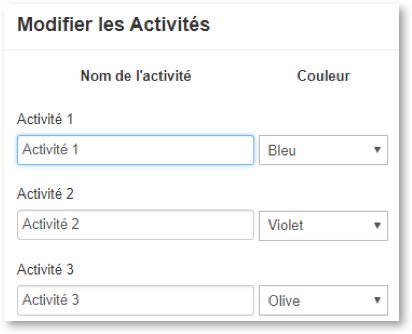 In the event you need to add additional tasks, PLANILOG can open a supplemental menu with up to a maximum of 25 tasks. 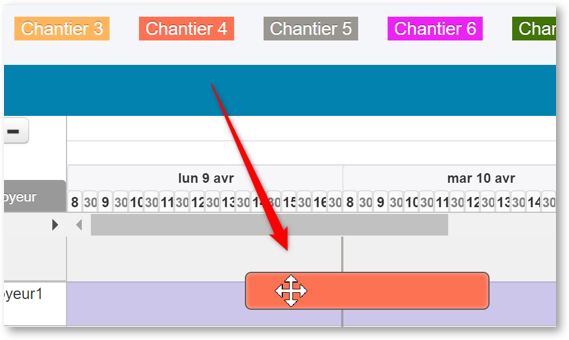 Once you have customized your tasks, it’s easy to place tasks into your Gantt chart using a simple drag-and-drop. We strongly recommend you avoid accents, diacritical marks or other special characters in your task descriptions. This indicates that the first column of your Gantt chart requires a value. After entering a value, try again to place your task. It should work this time.